The right entertainment for a wedding, private or corporate event is an important responsibility. Orget has performed more than 3,000 shows in every circumstance imaginable. Orget is a proven master Saxophone player. 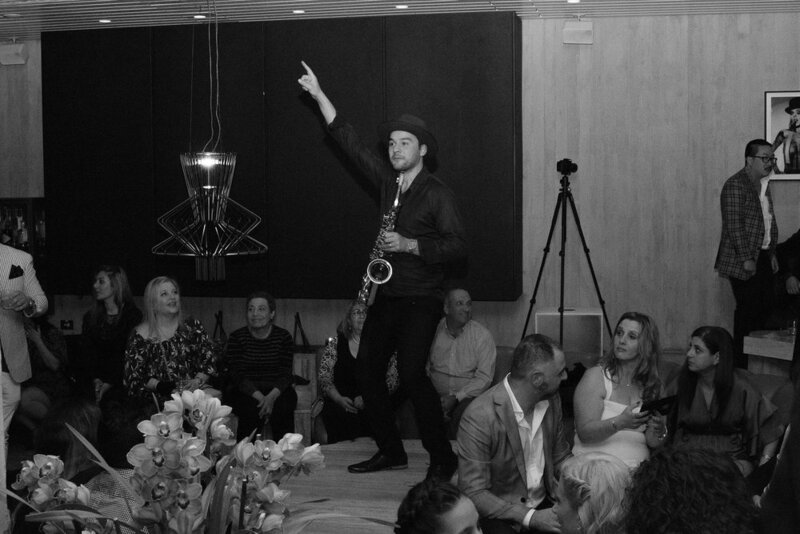 Have the perfect wedding by entertaining your guests with the perfect saxophone performance. Orget’s performances cater for date, location and size of the show for your special day. Your budget dictates what you can expect from performances so it is good to know this when booking. Quality entertainment creates an emotional impact and lasting impression. How much fun will be had at your wedding is what creates memories; not how many chicken skewers they were able to scarf down! You want a corporate entertainer who primarily entertainers for corporate audiences and has a lot of experience doing so. Orget is an experienced full-time entertainer who makes showing up early and doing a great job for the client their top priority. Having performed at many corporate events, we'll be prepared to provide an outstanding performance with professionalism and a stress-free booking experience. Take a look at the latest Media for past events. Wildflower Trio are a Sydney based live trio specialising in energy filled DJ sets. Combining the elements of a versatile DJ, a premier sax player and rocking live percussionist; the DJ performance is elevated to another level. The trio repertoire can range from a loungey down tempo vibe, disco funk house,or commercial dance and RnB set. Collaborative track list available on request. As a DJ or alongside fellow musicians, DJ Wildflower is known for her high energy and fun personality til the very last song is played, lifting the crowds off their seats and adding a sheer buzz to any event she plays. Living and breathing a musical package at the sound of her own beat - DJ Wildflower stands tall in the field of music mavericks, an unmistakable brand in her own right.